Midhurst Bed & Breakfast is located within an easy 10 minutes walk of the town and picturesque harbour great for a leisurely stroll around the harbour to the coves, or simply sit and watch the fishing trawlers and sail boats, perhaps with some fish and chips! It an ideal place for exploring Torbay, Dartmouth and the south Devon Coast, you can catch a ferry over to Torquay, or a leisurely cruise along the coast around to Dartmouth We also just a 10-15 minute walk to the South West Coastal Path. 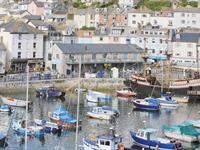 Brixham is surrounded by rugged cliffs and pretty pebble coves (ideal for swimming). The choice along Devon's coastlines is varied and fun, offering something for enthusiasts and beginners of all ages including walking the South West Coastal Path, sailing, surfing, canoeing, boat trips, fishing and diving to name a few! Inland, you can marvel at the spectacular sights of green rolling hills, and wooded river valleys as well as lively market towns and traditional villages. Or you can try some fishing, riding or simply walking the miles of way-marked footpaths and bridleways to discover welcoming country pubs, specialist shops and lively farmers' markets. The ancient moorlands of Dartmoor and several wildlife and nature reserves are also on your doorstep in beautiful Devon. 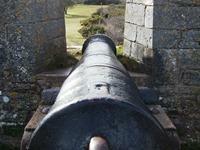 Devon is also rich in history and heritage. You can step back in time and explore historic cities and house some the settings for novels by Agatha Christie and Conan Doyle, and marvel at the ancient cathedrals and churches. Berry Head is the coastal headland Southeast of Brixham and is an internationally-acclaimed heritage site with Napoleonic War fortifications to explore. Enjoy breathtaking views, varied wildlife and do keep an eye out for the cirl bunting which can only be seen in the UK in the South East. See the reputed shortest, highest, deepest lighthouse in Great Britain, stop at the Guardhouse Café, the Visitor Centre, and take a visit to the bird hide. Call us for more information or visit the Countryside Trust's website below. To view interactive map click here! Brixham Theatre is run on a voluntary basis and now presents over fifty performances a year including community shows and hired-in professional shows. For what's on please visit the Brixham Theatre website or contact us for information. Brixham and the local area is steeped in history and the museum located in the old Police Station, includes an old police cell amongst its tardis of rooms and exhibits. 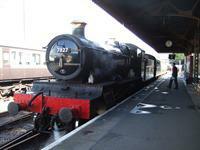 Learn about the town's maritime heritage, the landing of William of Orange in 1688 and Brixham roles in the World Wars, find out how life was at the Berry Head Napoleonic Barracks, read about the Bone Caverns and their importance to archaeology, see the working model of the Brixham Branch Railway Line. Plus lots more! Call us for more information or visit the Museum's website below. This stunning National Trust Art Deco house and gardens was built in 1926 for Rupert and Dorothy D'Oyly Carte as a summer retreat. 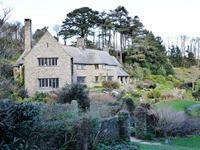 It is nestled in a rugged stretch of the coastline and includes beautiful RHS accredited gardens that lead down onto the SWCP with views out to sea. A visit is highly recommended for garden lovers and those interested in the 1920's and the Gilbert and Sullivan Jazz era. 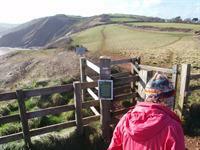 For more information visit the National Trust website below, or call us for more information. For the energetic why not don your walking shoes and enjoy some stunning scenery by joining the South West Coast Path (SWCP) at Brixham Harbour where you can take a walk up to the exhilarating Berry Head National Nature Reserve, and beyond to Sharkham Point, Woodhuish and Mansands, or follow the SWCP to explore the many tranquil coves along the way to Paignton and Torquay. Visit the SWCP website, or give us a call for any further information. Enjoy a day out in glorious Torbay by taking a steam train, bus, boat or paddle steamer, or experience all three with the Round Robin Trip! Explore the pleasures of Brixham, Paignton, Torquay, Dartmouth , Kingswear, Totnes and the River Dart. Or for that even more unforgettable experience why not treat yourself to a ride on the footplate, or a murder mystery dinner on board the steam train, a picnic cruise. Visit the website for the full selection of trips, or call us for more info. Bus stops both in and out of town are located less than 100 yards from us, and the Hop 12 bus will take you all the way, through Churston, Paignton, Torquay, Shiphay, Kingskerswell, right up to Newton Abott. The bus runs every 10 minutes during the day and every 20 mins after 5pm and runs late into the evening (the last bus leaving Torquay to Brixham being 23.30). Please ask us or check Stagecoach's timetable specific times and prices. 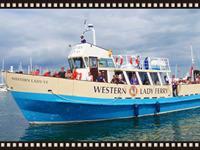 Why not leave your car behind and enjoy a 35 minute ferry ride from Brixham to Torquay. Fares are £2 for a single trip or £3 for a return. Or why not get a Jubilee Travel Card, which allows unlimited travel with us and our parent company Dartmouth Steam Railway & River Boat Company on any of our services, boats, steam train and bus.